Gris's beautiful exterior hides a simple, at times confusing, platformer. An artful puzzle platformer that'll stay with you long after its short running time. A stunning visual achievement and a mediocre Metroidvania but despite that unevenness this is still an affecting interactive journey with real emotional resonance. A week or so removed from playing Gris, I don't know what I'll remember it for, if at all. Gris feels like it almost belongs in a museum, with crowds marvelling at its art and sound for a few minutes, before moving on to something else. There's moments of beautiful brilliance in Gris, all of which is dragged down by a decidedly average platforming game. You won’t want the experience to end, but when it does, it will stick in your head due its poignant atmosphere and incredible visuals. It’s just a shame that it only lasted around three hours. The game’s beauty and quality make it easy to not want it to end. With GRIS, Nomada has created an abstract adventure, as beguiling as it is haunting. By focusing on its courageous protagonist, and creating a bewitching but frightening world for her to overcome, GRIS succeeds with its short but unforgettable odyssey. Awash with meticulous detail, charming aesthetics, and smart design, GRIS is something special. Take the trip. GRIS is a true piece of art because it isn't only beautiful, but also meaningful. A game with excepcional design that, despite some minor flaws, will definitely get to your heart and make you feel. This is the closest to poetry that any videogame has ever come! GRIS is a wonderful artistic achievement, with a simply sublime visual style and soundtrack that grows and evolves through the course of an emotional story. GRIS is an evocative experience and from now on, an completely must have. It's an essential video game like titles such Journey or Limbo. It shows that videogames are art through audiovisual elements, as a spectacular artistic environment or a perfect game design. This game make us feel indescribable feelings. It looks great, it's smooth, and you sure can jump a lot – but it's unsatisfying in so many ways that make it difficult to recommend over more competent and feature-rich games in the genre. After all, you know the old adage: beauty is only skin-deep. 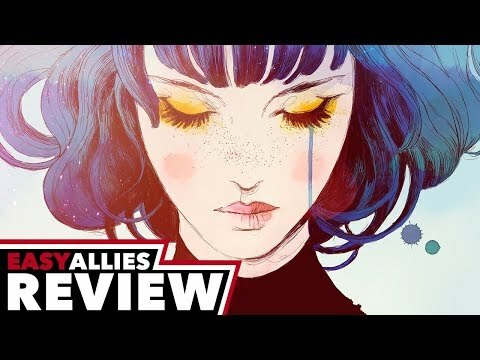 Other games may have it beat in terms of pure gameplay, but GRIS is in a league of its own as a gaming experience.